It may just be me, but if God contacted me in my teen years and asked me to take on an entire nation and then be burned at the stake I may have asked the most pertinent teenage question ever uttered: WHY? Then I would have smoked a joint and forgot everything he said. 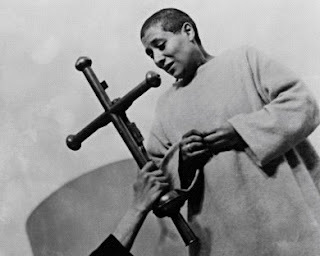 Carl Theodor Dreyer directs this 1928 silent classic starring Maria Falconetti as Joan of Arc. Considered Dreyer’s masterpiece, the film chronicles the 1431 trial and execution of the Maid of Orleans. Instead of working from a screenplay Dreyer chose to use the actual trial transcripts as his treatment. 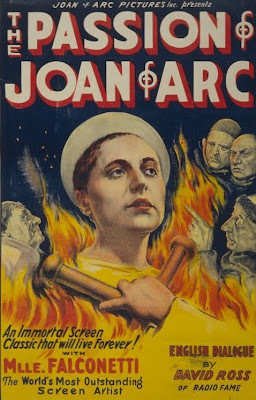 The story is quite simple: Joan believes God has asked her to lead an army to rid the French of the English…today he’d just ask her to blow up the Chunnel and poison all the beignets. Anyway, after being captured she endures her passion—interrogations, torture, and excommunication. The scenes where she is denied communion unless she re cants and where the crowd convinces her to recant are quite compelling. Because Dreyer shot most of these scenes in extreme close-up the viewer is almost forced to share Joan’s overwhelming anguish. In the end, Joan is burned at the stake in the courtyard of Rouen Castle and you feel as though you yourself have shared her fate. This film is emotionally draining. Dreyer manipulates the emotions of the viewer through his use of close-ups and constant film cuts (1,500+). The use of contrast and angles are severe. Extremely bright lighting is used to shoot the makeup-less faces of the inquisitors. They appear sickly and menacing at the same time. Dreyer uses a grayish light when he shoots Falconetti, which makes her seem somber and ethereal. The face and the emotions and motives that it displays is what Dreyer focuses on. Falconetti never made another film. Perhaps it was the shaved head and no makeup—maybe the world wasn’t ready yet for Sinead O’Connor. Whatever may be the case, she is very good in this role. 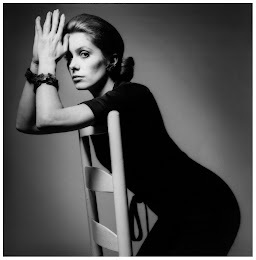 She exhibits just the right mixture of piety, naivety, and torment. I find it interesting that the only surviving original print of the film was found in a Norwegian asylum in the 1980s. 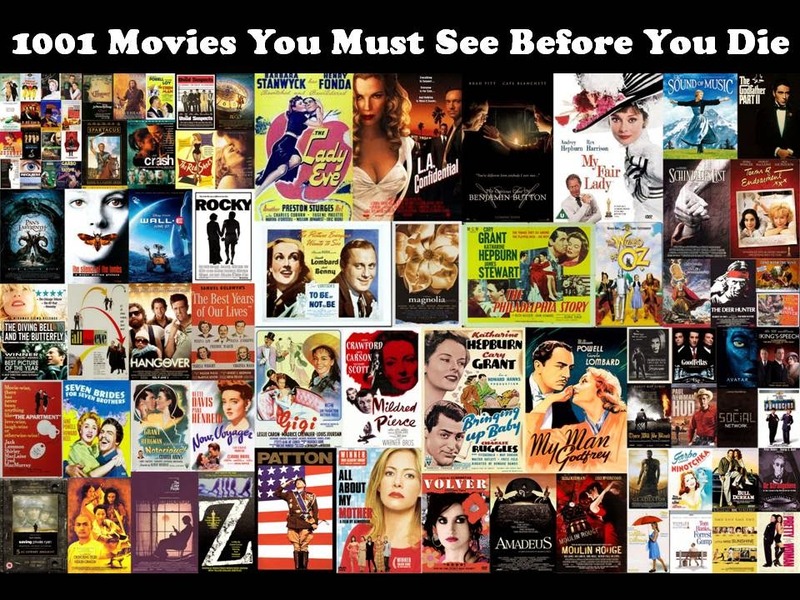 Call me crazy, but I don’t know that this film falls under the category of emotional therapy. Still, the film is impressive. I wouldn’t recommend it as a date night film, but it is very well done. "...which makes her seem somber and ethereal." really well said. When I think about the Norwegian asylum bit, I wonder about those who watched it, and I wonder how many of them felt the same thing, that they were at peace and just because the world around them didn't believe them, they were in this place. Neat.